KCLU's Debra Greene reports on a documentary about California's drought produced by a South Coast college professor and his students. A documentary on California’s historic drought produced by a South Coast college professor and his students will be screened this week. The film “Turf Wars: SoCal Water Conservation” takes a deep look into the state’s severe drought and its impacts. 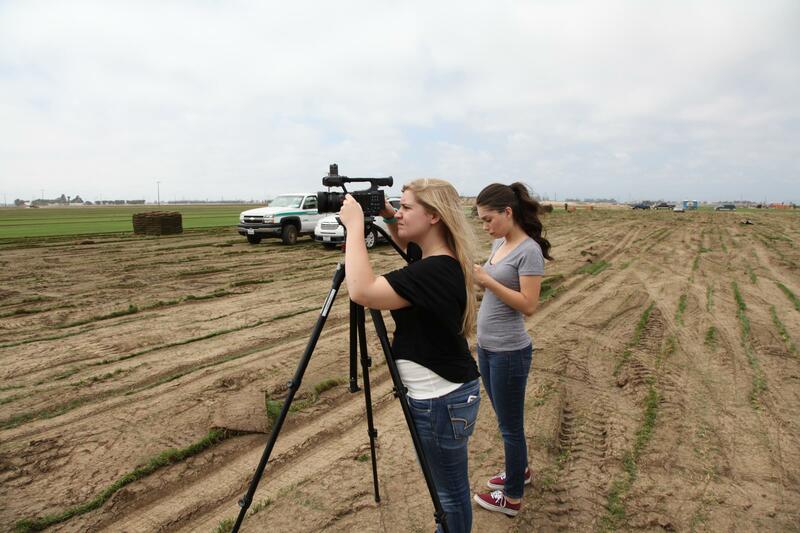 It was created by a film professor and his two students at California Lutheran University in Thousand Oaks. Karie Portillo Guerra, who was a student when she helped create the film, says it was eye-opening to see the devastation in Central Valley towns that had pumped their groundwater dry. "To truly see those fallow fields everywhere where you knew there was once a lot of flourishing crops. Seeing people having to leave everything they know because of this drought was incredibly heartbreaking but also just a testament to how important the work that we were doing was," she said. The documentary will be screened on Wednesday at 6:30 pm at the Grant R. Brimhall Library in Thousand Oaks.